Call of Duty: Modern Warfare Remastered (game, 2016). A first-person shooter video game by Activision. Developed by Beenox, Activision, Infinity Ward and Raven Software. Official Trailer. 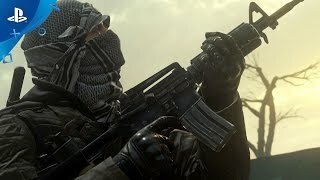 Call of Duty: Modern Warfare Remastered is a first-person shooter video game by Activision, developed by Infinity Ward and Raven Software, Activision and Beenox. Call of Duty: Modern Warfare Remastered - December Update Trailer | PS4. Modern Warfare Remastered features the same plot as the original game. 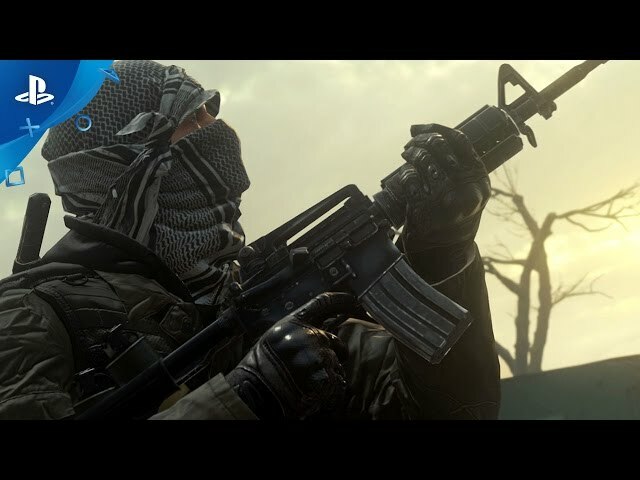 The player acts as a member of the United States Marine Corps and the SAS and takes on missions to fight against a separatist group in the Middle East as well as an ultranationalist group in Russia. While the United States invades a small, oil rich Middle Eastern country following a coup d'état by the extremist Khaled Al-Asad, a British Special Air Service (SAS) squad infiltrates a cargo ship found to be carrying a nuclear device. The ship is sunk by enemy jets, but the SAS team escapes with its manifest, and then heads to Russia to rescue their informant, codenamed "Nikolai", from the Ultranationalist party. The intelligence from these operations indicate Al-Asad has a Russian nuclear device. The U.S. military launches an assault on Al-Asad's palace, but the nuclear device is detonated, wiping out most of the city along with everyone in it. The SAS team tracks down Al-Asad in Azerbaijan, and discover that he was working with Imran Zakhaev, the leader of the Ultranationalist party. The mission then flashes back 15 years where Captain Price, who was a Lieutenant at the time, is sent alongside his commanding officer, Captain MacMillan, on a failed assassination attempt on Imran Zakhaev in Pripyat, Ukraine. After killing Al-Asad, the SAS team, with support from U.S. Marine Force Recon and Russian loyalists, attempt to capture Zakhaev's son and learn his whereabouts. They ambush him, but he commits suicide. In response, Zakhaev seizes control of a nuclear launch facility. A joint operation is launched to take back the site, but Zakhaev launches intercontinental ballistic missiles at the U.S. Eastern Seaboard. The joint teams are able to breach the facility and remotely destroy the missiles before fleeing the area. Call of Duty: Modern Warfare Remastered features the same core gameplay as the original version, but includes several minor modifications. While in the prone position, the player's equipped weapon is now visible, and during the act of crawling, the gamepad will give feedback as the gun makes contact with the ground. The game utilizes "dual render technology" for sniper rifle scopes when aiming, providing the player with a view of the scope and blurred surroundings, as opposed to a black screen representing the scope interior present in the original. Throughout the campaign, new predetermined first-person animations are present on a few occasions, for example, when removing a non-player character's bonds during one of the levels. Pressing down on the gamepad's D-pad in multiplayer when a weapon is equipped will initiate a brief animation to "taunt" opponents, such as allowing the player to inspect the exterior of their gun. Call of Duty: Modern Warfare Remastered was scheduled to be released by Activision on November 4, 2016, on June 27, 2017 and on July 27, 2017.